ELS Language Centres specialises in delivering English language Programmes to prepare students for success in their tertiary studies and careers. ELS Malaysia has more than 27 years of experience in teaching English to local and international students while its franchisor, ELS USA, celebrated its 56th anniversary this year. With over 150,000 CIEP graduates from its internationally recognised Certified Intensive English Programme, ELS Malaysia has played a leading role in advancing the quality of English among students from over 50 countries. As an institution dedicated to quality education and unique learning experiences, ELS prides itself on employing a student-focused team that is result-oriented and driven to provide the best level of service to our clients. 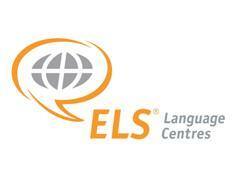 ELS welcomes you to join its motivated and caring team with the positions listed here. • Assist in coaching and mentoring of Associate Instructors.